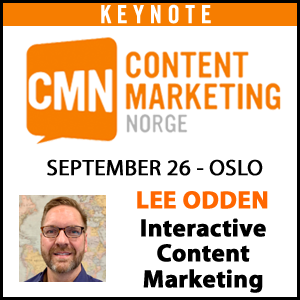 At the Content2Conversion conference in Scottsdale, there were a lot of hands up when Lee Odden asked how many in the audience had been tasked with developing substantially more content for 2015. The hands in the air were far, far fewer when Lee asked how many in the audience had been allocated an equal amount of resources for the development of that additional content. But in addition to that demand for more content is the demand for more meaningful content. “More” content isn’t going to cut it anymore. B2B buyers are swimming in more information resources than they could possibly consume. It’s a concept that Mark Schaefer calls “content shock.” To quantify that, the Custom Content Council reports that $40 billion is spent on content development in 2013 alone. So the predicament B2B marketers find themselves in becomes not only creating enough content, but in creating content that actually gets noticed and acted on by buyers. 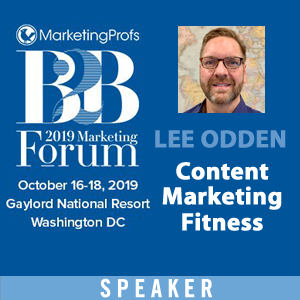 One solution is crowdsourcing and co-creating content with influencers – an approach Lee calls, “participation marketing”. According to a report from Nielsen, 85% of customers seek out trusted expert content when considering a purchase. Regardless of how important and trusted you think your brand name is, that content is still from a brand, not an individual influencer in the industry, someone whose opinion is sought after and shared. Another solution is co-creating this same content with the audience in which you hope to do business with. TopRank Marketing has worked with popular B2B companies such as LinkedIn, Content Marketing Institute, and MarketingProfs to co-create content marketing programs with industry influencers that represent both scenarios. In each case, participants are influential to the broader marketing community and also represent prospective customers for TopRank Marketing. LinkedIn Marketing Solutions saw an amazing 21,000% ROI on a single eBook program, which led to $4.7 million in revenue. Content Marketing Institute and sponsor Curata were able, with TopRank Marketing, to partner with 40+ brands and influencers to generate a series of conference eBooks for Content Marketing World that resulted in 200,000+ views, 15,0000+ social shares, 4,000+ eBook downloads and 1,000+ leads. In the case of MarketingProfs, a single eBook intended to create awareness of the B2B Forum, received 6,000+ social shares in one week and 60,000+ views over the course of four months. As a result of these programs, TopRank Marketing has been engaged to run similar programs for other organizations like Copyblogger Media and renewed engagements. So How Do You Implement a Co-Created Influencer Content Program? Understand the buyer information journey that guides them through the sales cycle. Know your buyers and how and where they consume content. Understand how they discover, consume and act on content. Use target audience insight to become “the best answer” for what your buyers are searching for. Knowing how your buyers discover, consume and act on content can help you develop an influencer content program that’s accountable to attract, engage and convert – across the customer lifecycle. Both brandividuals and influencers are necessary to craft a successful campaign. To research and qualify influencers, use tools like Traackr, followerwonk, Buzzsumo and others to identify influencers and connections between them. Brandividuals add spice to a content program and will help attract niche influencers who want to be associated with those who are famous in the industry. Inspire movement. Influencer content programs are an opportunity for marketers to nudge buyers along to take another step toward purchase. 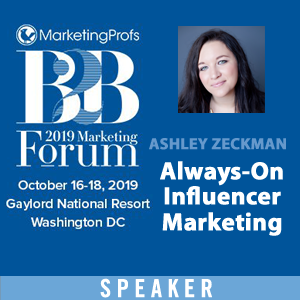 As Lee presented, “you always want to give someone — with any type of content — something to do next.” Influencer content is that extra nudge that some buyers need to act on a call to action in content — and they’re more likely to act because an influencer has inspired them. Make it easy. Influencers are people too. In fact, they’re busy people. They’re researching, working, speaking, writing, tweeting, connecting on LinkedIn and everything else it takes to earn respect and followers in their industry. They don’t have time to run your influencer program for you. They need to have content — blog posts, tweet-length quotes — at their disposal to help participate in your program. Evergreen influencer content can continue to be a marketing asset for many months or years to come. Find topics that are underserved with resources yet high in demand for your industry — inspire co-creation. Keep content marketing assets accountable with an Attract, Engage, Convert model – apply across the lifecycle. Serialize co-created projects to create anticipation and keep influencer relationships alive with recognition and engagement. Be sure to look for continued coverage of the conference with upcoming sessions from Karen Thomas-Smith of Optum, Celia Brown of SAP, and Laura Ramos of Forrester Research. 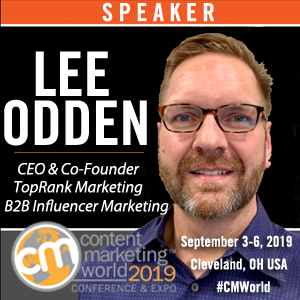 Here is another write up of Lee’s presentation by Demand Gen Report: C2C15: Leveraging Influencers For Credible, Valuable Content. 21,000% ROI! Holy ebook sales batman!